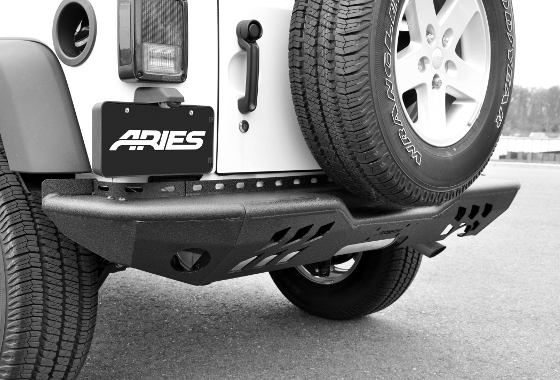 Dallas, TX -- May 16, 2017 -- ARIES, a fast-paced marketer and innovator of truck, Jeep, SUV and CUV accessories, has released a new bumper for the Jeep Wrangler JK: the TrailChaser™. 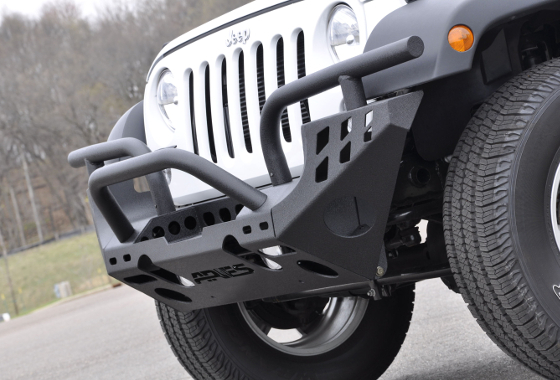 This replacement JK bumper is built for easy installation and customization, featuring a modular design. 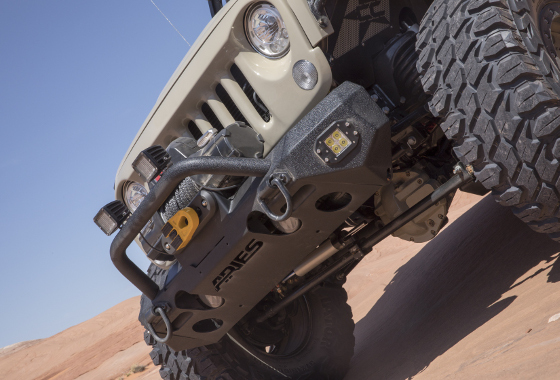 The ARIES TrailChaser™ bumper is constructed from modular pieces, allowing it to provide a different look for different styles of Jeep Wrangler JKs. It is available in 20 configurations for the front and two for the rear. Each bumper is available in aluminum or steel, and all are covered in our highly durable textured black powder coat finish. The modular pieces of the TrailChaser™ are designed to fit together with tight seams for a professional-looking build. The TrailChaser™ is also designed for a vehicle-specific fit on the Jeep JK. 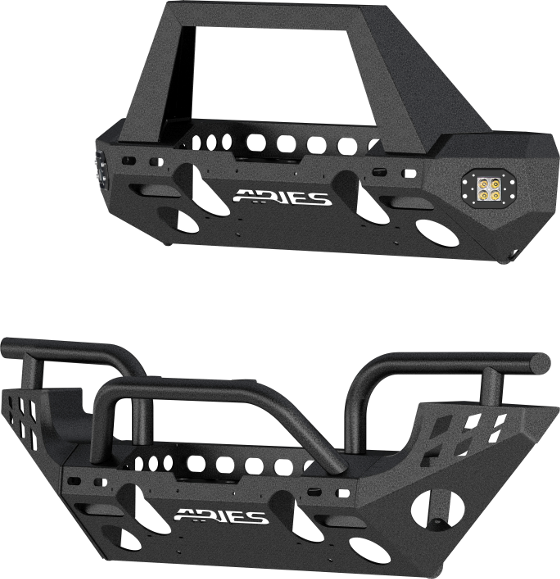 It uses pre-existing factory mounting points for no drilling required. There is also no need to relocate the vacuum pump during the installation process, saving time and unnecessary hassle. In addition to 20 different configuration options, the TrailChaser™ is built to be customized with a number of accessories. 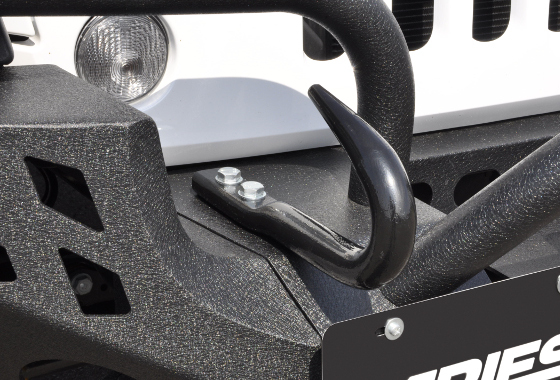 Each bumper center section features a 22 1/2" x 7 3/4" universal winch housing to accept most types of winches. It is also compatible with a new winch adapter plate #2072100 with slotted holes to accept larger winches. To protect the winch, we offer two different brush guard styles: round brush guards or a stinger-style angular brush guard. 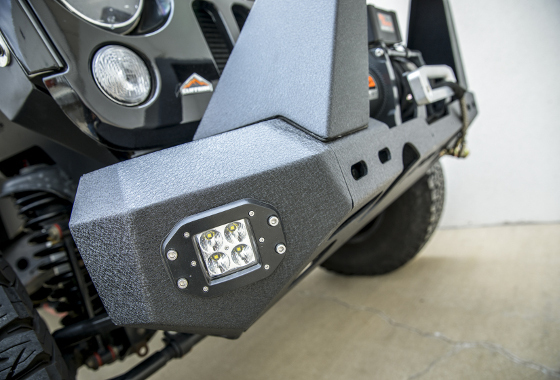 Something completely unique to the TrailChaser™ line is its LED-equipped end caps. These end caps feature our new 2" flush-mount LED work lights #1501250 with Cree bulbs, IP68 and IP69K waterproof ratings and 2,200-lumen beams. The lights come with waterproof wiring harnesses and a switch. Some of the other accessories available for the TrailChaser™ bumper include our new anti-rattle D-rings #2081300 with a 9,000-lb. work load limit, an aluminum hawse fairlead #2156070 for nylon rope and a roller fairlead #2156071 for heavier-duty winch applications. To see the TrailChaser™ in action on the trails of Moab or to become an ARIES dealer, click here. 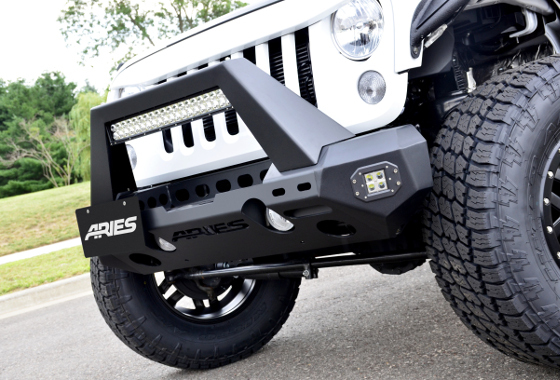 About ARIES: ARIES is a fast-paced marketer and innovator of truck, Jeep, SUV and CUV accessories. We specialize in custom-fit grille guards, bull bars, side bars and running boards, as well as Jeep Wrangler JK accessories. ARIES products are made vehicle-specific and are available for most makes and models of trucks, Jeeps, SUVs and CUVs sold in North America. We operate out of five regional warehouses throughout the U.S. and Canada, and our products are marketed through retailers, distributors, installers and e-tailers across North America.